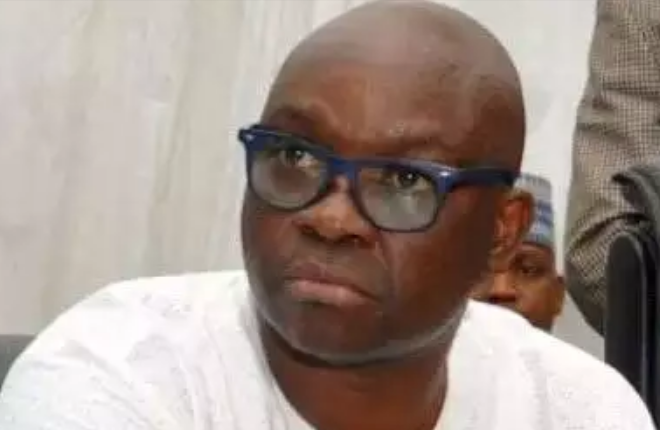 Governor Ayo Fayose’s half-brother, Olanipekun Oluwayose, has dumped the PDP for the Action Democratic Party (ADP) alleging failure of his brother to address hunger in the state. Oluwayose declared for the ADP in his hometown, Afao-Ekiti, yesterday, when the ADP governorship aspirant, Otunba Segun Adewale, took his mobilization tour to the area. He said Fayose had failed to address hunger through his much touted “stomach infrastructure,” alleging that the governor only succeeded in increasing poverty.